This morning I decided to check in on the Linea Amarillo, and it's finished! I found some photos at skyscrapercity and compiled them and some Google Map links into a post there, which I've appended below. I suppose I could've found an overview map, but it's pretty easy to figure out on Google, which appears to have been fully updated since the project opened. Hopefully, the satellite imagery will follow in due course. 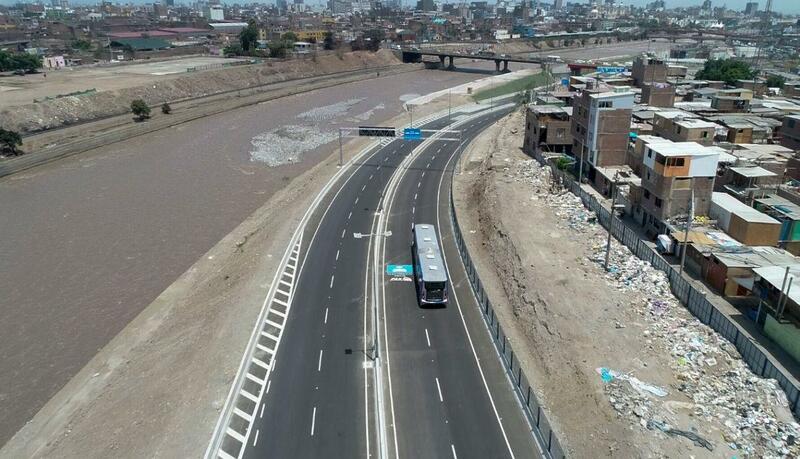 From this post in the Lima transportation forum come these shots of the massive Yellow Line project, which includes a mile-long tunnel running along the Rimac River. 3D satellite view, in which the new westbound Yellow Line bridge is starting to take shape. 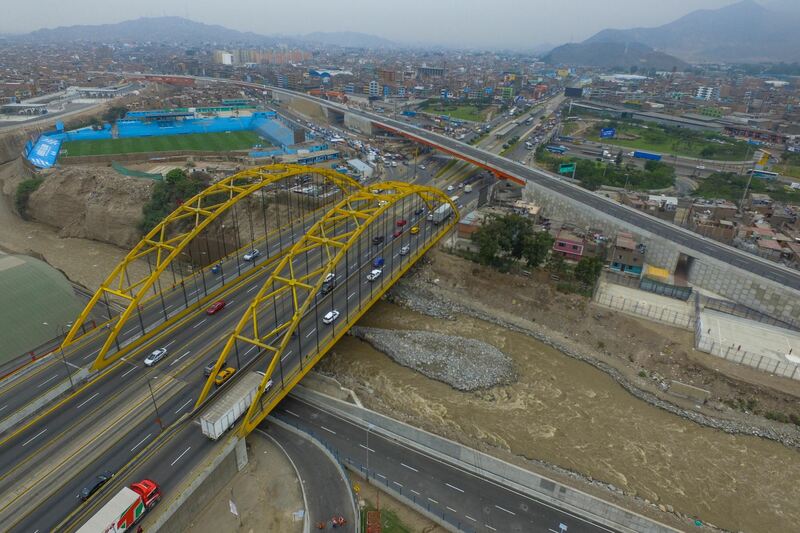 The yellow-painted arch bridge is compressed since this isn't a real 3D view, but you can see it if you look for it. 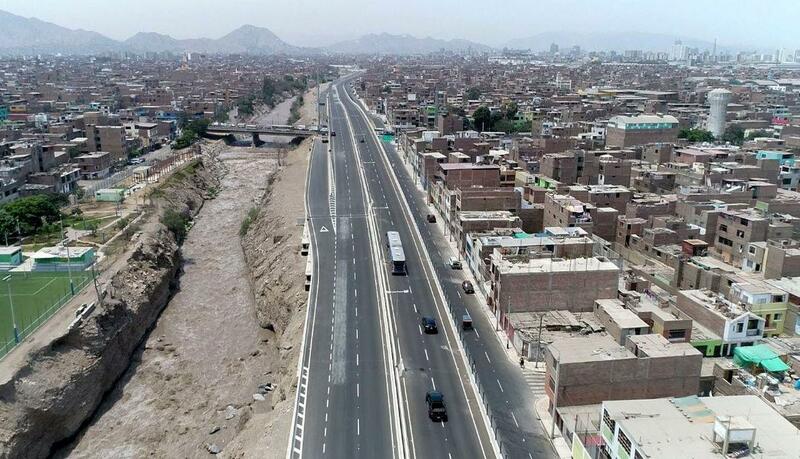 Note the local street winding under the yellow bridge and the toll booth. From this post, here's the western end of the project, looking east, 3D view. 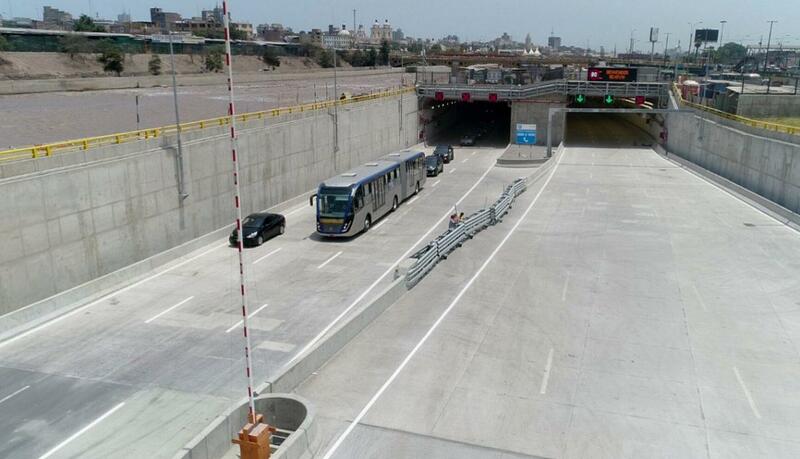 From this post, here's the eastern portal of the tunnel under the Rimac River. Here'sthe Streetview. 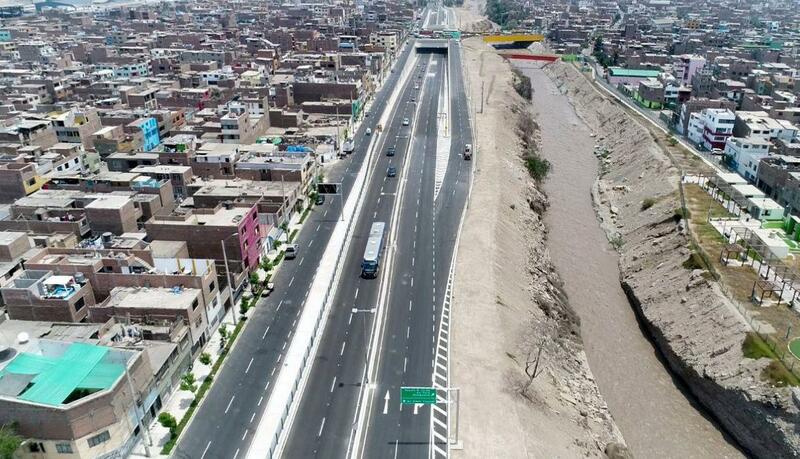 Judging from the bend of the river, this one must be immediately east of the previous one, looking west. Finally, from this post, a fine overview of the east end of the project. 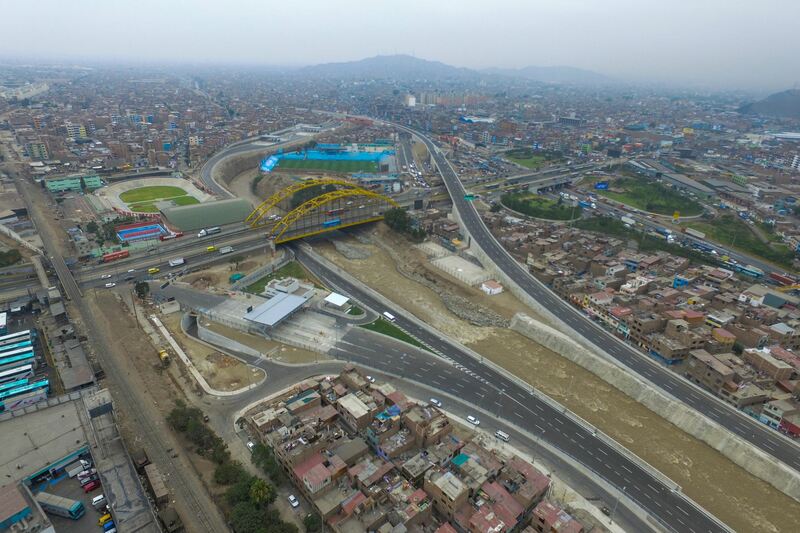 The orange bridge carries the new westbound YellowLine roadway over Highway 1 and the Rimac River, and the handsome concrete bridge is for Linea 1 of the Lima Metro.